when i was still in makeup school, Sophie and I decided to get this palette since it has a lot of colors and would be great for "practices." this palette has been sold-out so many times and the waiting time for CS to re-stock was really a pain...but our patience paid off. we finally got to order the palette (one for each of us), after weeks of waiting. we had to stay up all night just to beat the number of people who are also waiting for it to be back in stock. Are they all matte? I was under the impression they come in different finishes. Nuts! 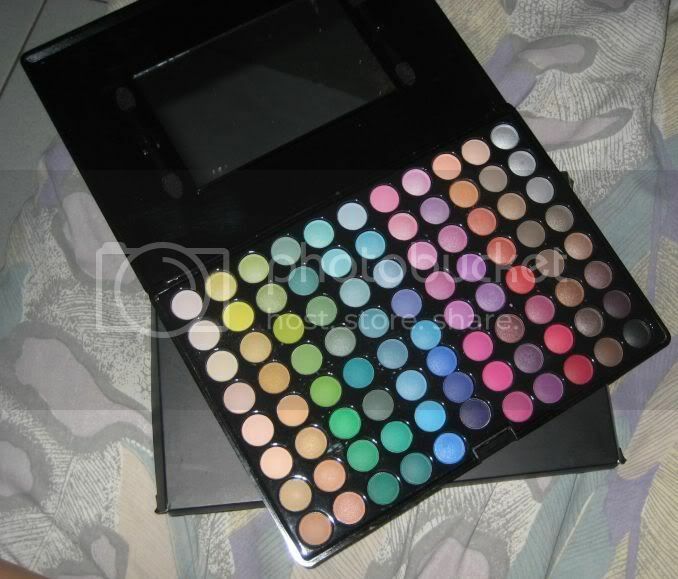 And I just ordered the 120 color palette from ebay. Oh sis! You've eventually got it! Cool! I can't wait the FOTDs you'll come up with this new palette! BTW, Hope you don't mind me adding you to my blog list..
i have one eotd already gracie, but really, i feel like i'm losing my makeup mojo lately that i kept on messing up my application...:( will post it anyway though! hi yda hirap talga abangan CS to restock, i had to really monitor their site during the wee hours of the morning just to get them. sure, link me up...i'll link you too, okie? dadating din yun shen. sophie and i had to wait for like 3weeks? we ordered this for school pero it arrived a day before the finals. 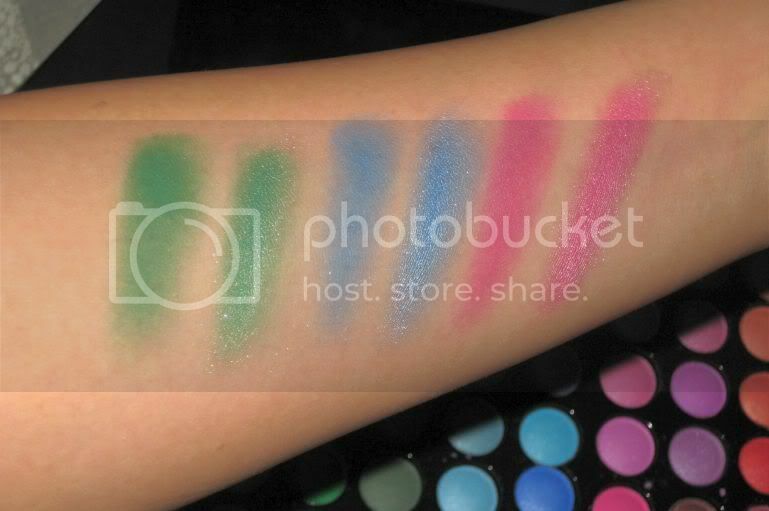 hehehe..anyways, i honestly think it's like the BAXI and QUANYIU eyeshadows that we can get here.